One of the most comfort foods of South Indians, Idli is prepared almost every other day at our homes. The ingredients for preparing the batter for Idli and Dosa remains same. However, it has got different consistency. Here I am sharing the recipe for Idli Batter using a wet grinder and also a mixer grinder. What’s the difference? You are about to find out! Idli is a traditional South Indian Breakfast food. It is round, soft and fluffy like cotton balls (how did I think of that? What about a full moon? Meh :/) It is prepared by steaming the batter and the softness and texture of a perfect Idli depends on the batter, of course. I had prepared Tri-color Idlis last Independence day. 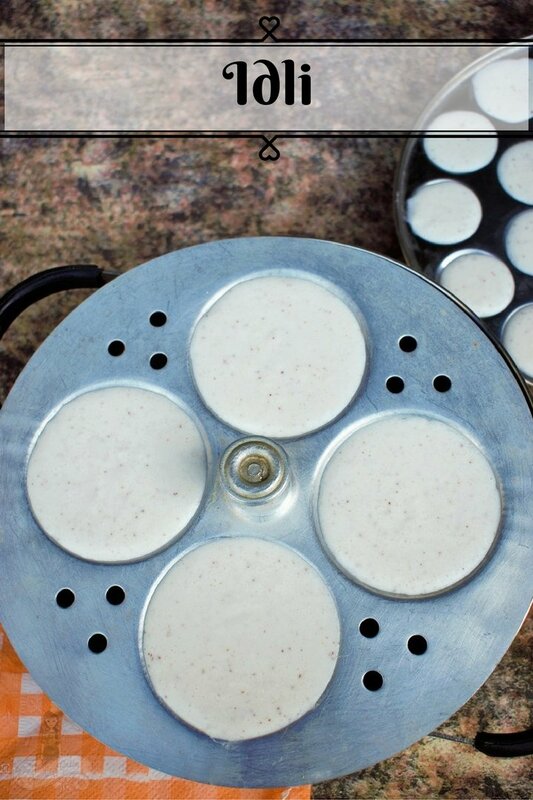 How to Make Soft Idli Batter using a Wet Grinder? 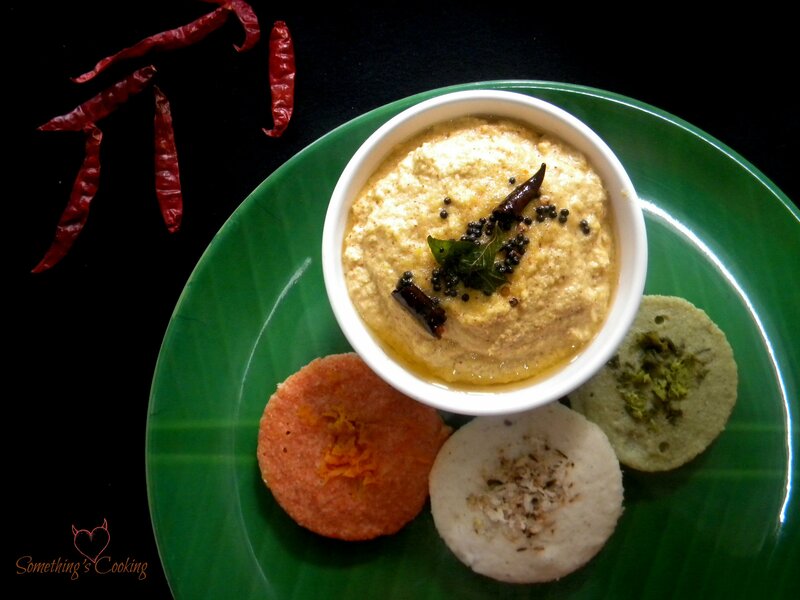 The basic Idli batter consists of four ingredients – Rice, Urad dal, Fenugreek seeds, and Salt. The ingredients are first washed and then soaked for at least 4-5 hours. These are ground separately and mixed well. While grinding the ingredients on a wet grinder, the stones in the grinder help urad dal to puff up without making the batter hot. The ingredients are equally distributed and ground to perfection. While using a mixer, therefore one must add cooked rice or flattened rice, ie Poha which will make the batter softer. Wash all the ingredients thoroughly in running water. Soak them separately for at least 5-6 hours. After 6 hours, you can see that the Urad dal has puffed up. Grind the rice little by little, adding up to 1 1/2 cups of water in total. Remove and keep aside. Grind Poha and fenugreek seeds together, adding about 1 cup of water. Remove and keep aside. Grind Urad dal, adding about 1 cup of ice water. Remove and keep aside. Mix all the batters together. Add salt and mix again with your hand. Let it sit in a warm place for about 6-7 hours to ferment. Once fermented, mix well again and you can store it in refrigerator for immediate or later use. If you are using wet grinder, you needn't add cooked rice or Poha/flattened rice. You can grind the fenugreek seeds and Urad dal together then. For enhancing the flavour, you can also add a small piece of ginger and a sprig of curry leaves while grinding the rice. I have made small idlis here, making it a Cocktail Idli. Insert in toothpicks and serve with chutney as a party snack. Works! I am good at making Idli but I lose at making chutney :(. I don’t know this food but I do like little tasty things to snack on. Thanks for the tip! I have never tried these because most of the ingredients are not available in a typical U.S. store. I will have to look on Amazon. These sound very tasty. I do like learning about all these delicious Indian foods. This wasn’t something I was familiar with at all. I still don’t understand about wet grinding. That’s a different concept to me. Is that like a food processor? It’s a whole other world to me. Fascinating to learn about. I so needed this recipe! Thank you so much. 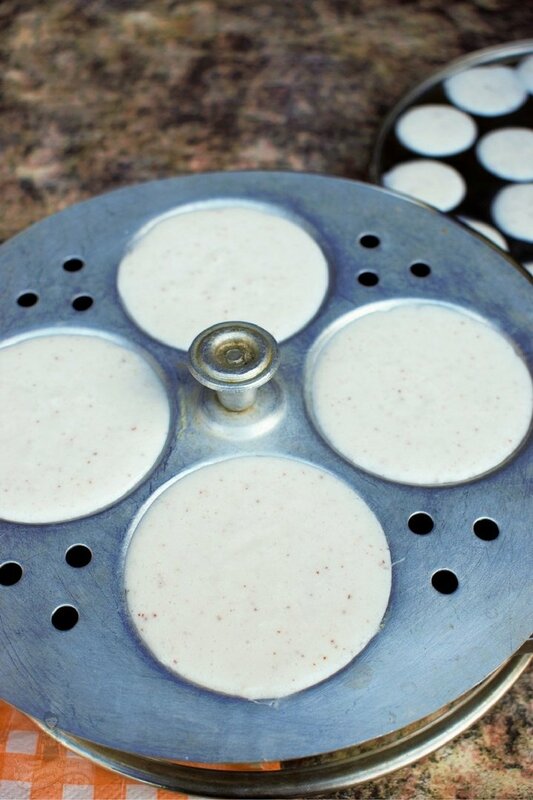 I love idlis and always used the ready made batter. I did try making a batter of my own a couple of times but they did not turn out that great. I’ll try this one and let you know. In Bangalore we get idli batter & it’s ok. But will try this recipe surely. Looks yummy. 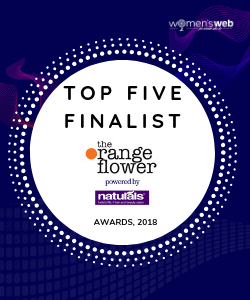 Ooooh these look lovely! Can you make a sweet version too? Yummm! 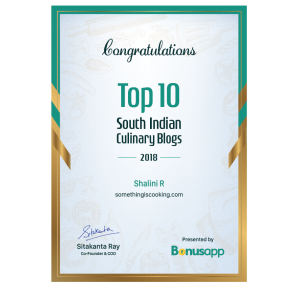 South Indian is one of my all-time fav cuisines! I love the mini idlis! Sometimes I stir fry them with curry pata, rai, and haldi. Sometimes, I add finely chopped carrot-beans to the batter. I use suji though. Never made them with the daal-chawal batter yet. Loved your idea of sticking a cocktail stick through them. Hey, Shalini, I have always been comfortable making rava idlis but your post is compelling me to try out these idlis also. Lovely colourful recipe as usual. I use idli rava mixed with ground urad dal to make the batter. Turns out well. Idli is THE staple breakfast for South Indians. Thanks for the tips!! Thanks for sharing this Shalini. No matter how much I tried, I never got soft and fluffed idlis. I used semolina for making them. I will try this recipe next time. Being a South Indian this is one thing I can proudly say I am good at …of course I have a grinder so it makes my job easier . somehow can never get it right in the mixer. 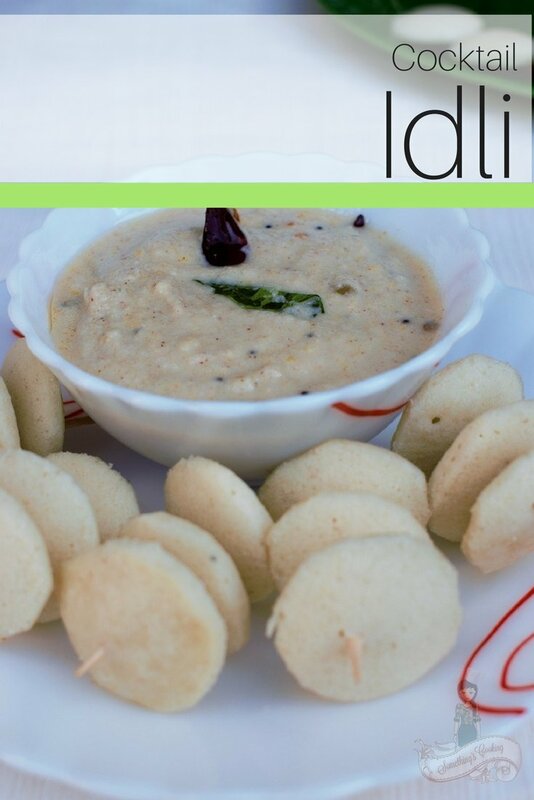 i have made idly batters at home – recipe by my cook – but i am not a big fan of idliy! And my son made faces at me when i served him idly!